Today I finished a little stitched mirror pouch. The actual cross stitching have been finished for quite a while. I started stitching the blanket stitched around the edges of it, and then I stopped for some reason or other. 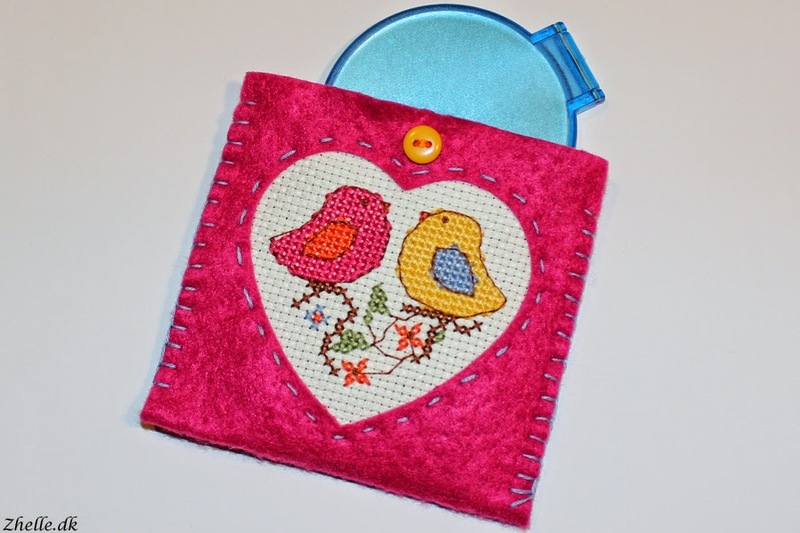 The little design is originally from the CrossStitcher magazine and the pouch is a kit from it. It is stitched on 14 count aida with threads from an unknown brand. 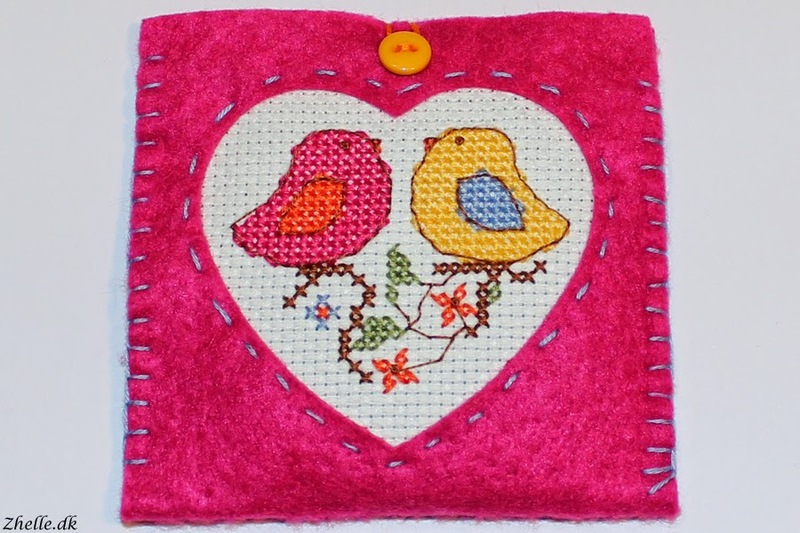 The pouch itself is pink felt and it is sewn together with blanket stitch. The little yellow button is attached with embroidery thread and the loop closure is also embroidery thread. I'm definitely quite happy with it!